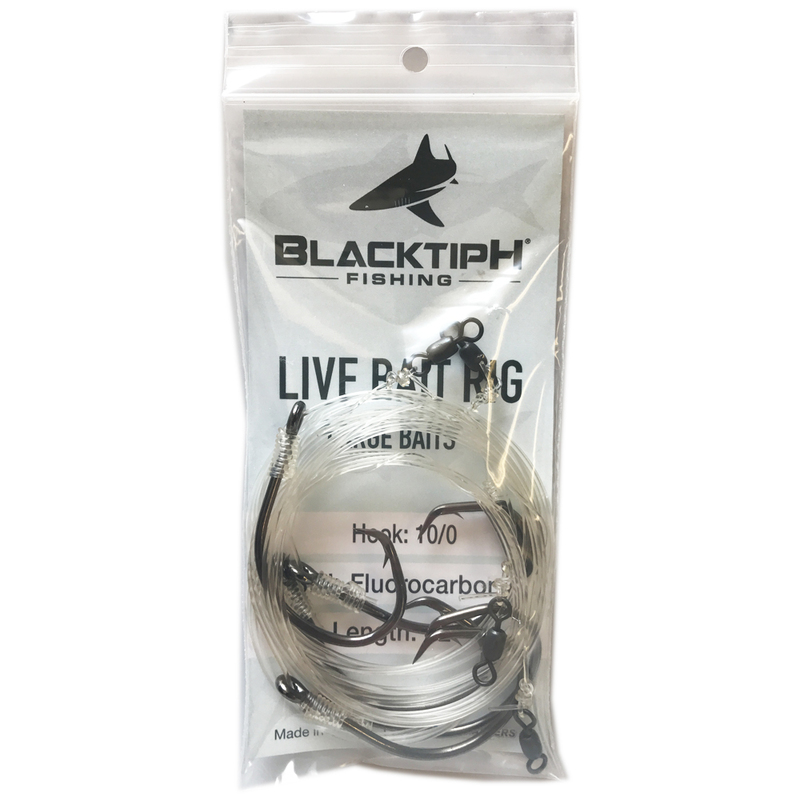 The BlacktipH Live Bait Rig is available in small, medium, and large. 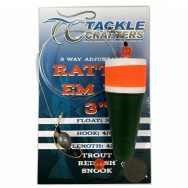 These rigs are each tied with a professional snell knot increasing the hookup ratio. 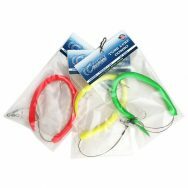 The Small features 30lb Fluorocarbon and 5/0 black nickel circle hooks. 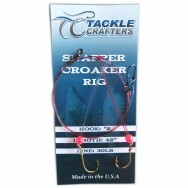 The Medium rig features 60lb Fluorocarbon and a 7/0 black nickel circle hook. The large rig features 80lb fluorocarbon and a 10/0 black nickel circle hook. Made in the USA.